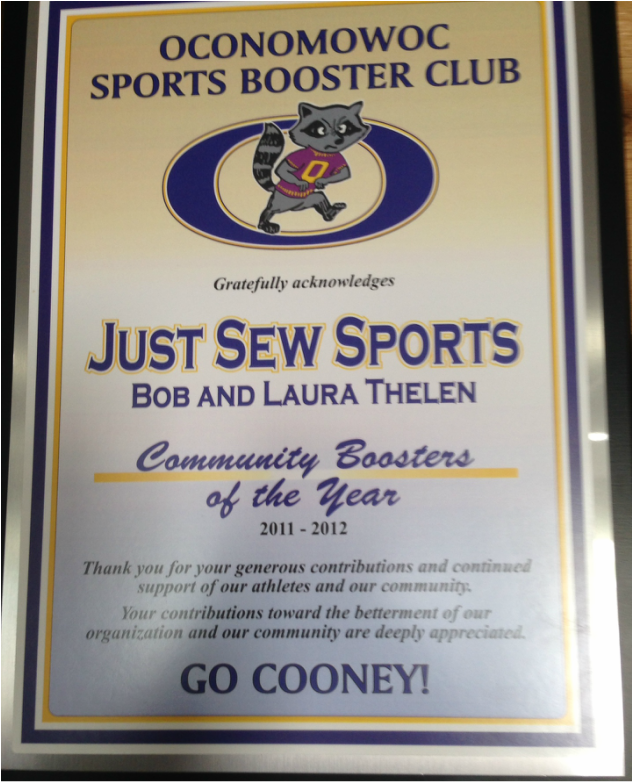 We, Bob and Laura Thelen started Just Sew Sports in 1992 in our garage in the town of Oconomowoc with a two head embroidery machine and a dream. Through hard work and some luck, we opened up our retail store in 1993 in downtown Oconomowoc. Thanks to the Badger's Rose Bowl victory, we survived the first year and have not looked back since. Since then, we moved again to have some more space, we added six more embroidery heads, a banner and sign making shop, and have partnered with CT Designs (our son, Chuck Thelen) to add Screen Printing. We were born and raised in the area, raised an awesome family (two sons, one was in the military, the other works right here! ), and continue to engage in the community and be active in the community! Come by sometime, we would love to get to know you!